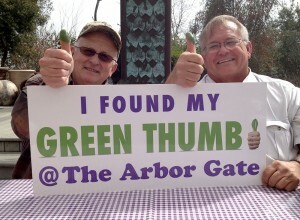 Bill Adams and Tom LeRoy are always 2 of our most popular guests at The Arbor Gate when they come to teach. We had such a great time with them recently at the vegetable gardening class. We were able to record the Question and Answer portion of that class and publish it here on our podcast. You all asked questions on a wide range of topics and Tom and Bill did not disappoint. Enjoy!